The idle on my 2007 Norge "1200" (2-Valve head) has gone galloping (about 2K rpm) and the ECU is throwing O2 Sensor error codes. Are these likely related? The Dealer says a new O2 sensor is $300. He put in a good (?) used one for $30 but the idle/error problem persists; Idle slowly climbs from 1200 to 2000+ rpm. On the way past 1500 rpm, an ECU error code pops up . This is such a beautiful bike - it so deserves to be kept on the road - just so the little people can stay aware of what a Real Touring Motorcycle looks like. Any help from y'all would be MAJORLY appreciated. Thank You ! 20181211 UPDATE & FIX FYI: At last! The 2007 "Norginator" - 39,000 miles - has recovered from multiple illnesses, in two completely unrelated categories. (1) Total CARC Failure. The rear drive pod apparently had leaked itself dry and [understandaby] failed. This was announced by sudden onset of whining and sounds like ice in a blender. My fault: I didn't check it immediately after taking ownership from the P.O. I've had five other shaft drive bikes and in several hundred thousand overall miles never gave a thought to checking their oil level. Dealer took care of that at looo-ong intervals. If new CARC units even were available they'd be about $2,000. Luckily one of the forum members had a good used one which he sold me for only $350. It's working well, at least for a 100 miles so far! CHECK YOUR CARC OIL OFTEN! (2) Galloping idle (2,000 - 2,500 rpm) accompanied by various error codes blaming the O2 sensor. Onset was gradual over 500 miles. A new O2 sensor (a copatible one from a Fiat for $30 instead of the $300 Guzzi-branded one) failed to cure. Dealer was still getting O2 error codes. The final cure was almost accidental: Finding multiple, severe cracks in the collector Y-pipe under the motor that houses the O2 sensor. This was leaking large amounts of outside air into the exhaust stream, thereby fooling the O2 sensor and causing the Engine Control Unit to make erroneous adjustments to the fuel mixture. A good used Y-pipe off of eBay ($250) fixed the idle problem and squelched the dashboard alerts. Updates will be posted as they come along. Hope it will help someone, someday. 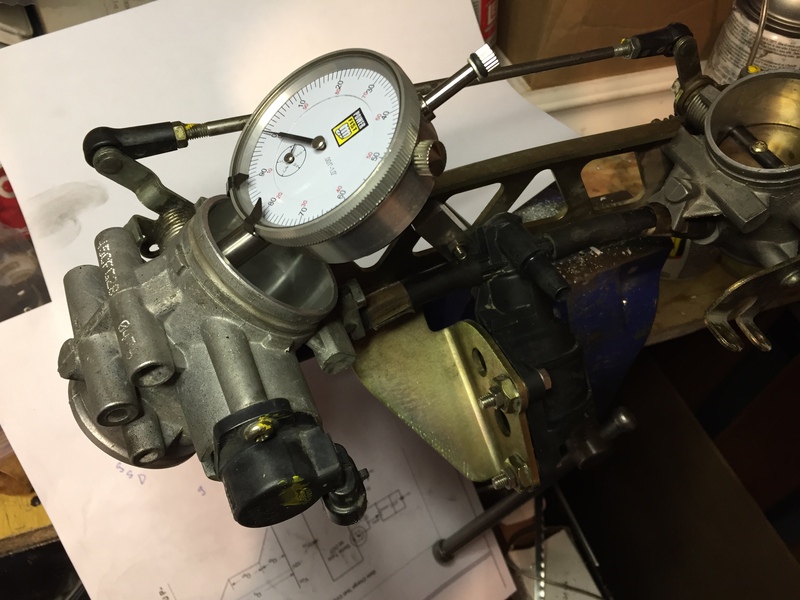 Have you removed and cleaned, thoroughly, the throttle bodies? Have they been balanced properly and the TPS recalibrated after bell crank adjustment? Has anybody messed with either the throttle stop screw/s or the linkage rod ball joints? At what level do you run your oil? The O2 sensor may be faulty, but it's not causing the high idle problem. When the throttle is closed, the sensor has no affect. 'Nother thought? Does yours have one of the early, metal, stepper motors? They are for some reason much more prone to getting sticky and seizing up than the later plastic ones. Could you turn the O2 sensor off using Guzzidiag as a test? It seems to me that's if the O2 is a problem, then turning it off would make a difference. I'm in Tucson, depending upon how far away you are I have a spare, slightly used O2 you can try. I also have the cables for Guzzidiag, I think I have the program installed on an old laptop, but it's been a long time since I've used it. Pete GAVE me a new metal stepper about 2 years ago @ 60,000 ish. It began sticking a bit @ 140,00 so I took it off and gave it some CRC up the blurter. If you plug it in while holding it in your hand and turn on the key, you'll see and hear it go through it's business. I am away (in Denver) from home (Sun City West, AZ) over Thanksgiving. Bike is presently @ Dealer in Prescott, AZ, being [hopefully] fixed. It seems the consensus here is that too-fast idle and the ECU O2 sensor error code are unrelated. Gonna take one step at a time beginning with getting the idle under control. Will send you a PM when I get home early next week. Well please, please don't let them futz about with the idle stop screws in an attempt to fix it. I still reckon it will be down to gummy throttle bodies and stepper and would strongly recommend cleaning them first. Hope you have a new battery. Push starting you was quite a challenge! Also, any luck on the CARC replacement? I’m with Pete, your bike sat for quite awhile when on sale, I suspect it’s gummed up. See you on a ride soon! Yeh. Got a new battery next day. Some great guy (you!) pushed me to get that massive Norge started out in the boondocks. Two days later the CARC blew. That was replaced with a salvage one I bought from another great guy on this board. It is still with the Prescott AZ Guzzi dealer. Great guy too. He is watching this thread for ideas on curing the galloping idle. Picking bike up next week.I look forward to riding with you again. THANK YOU to everyone who've helped here. 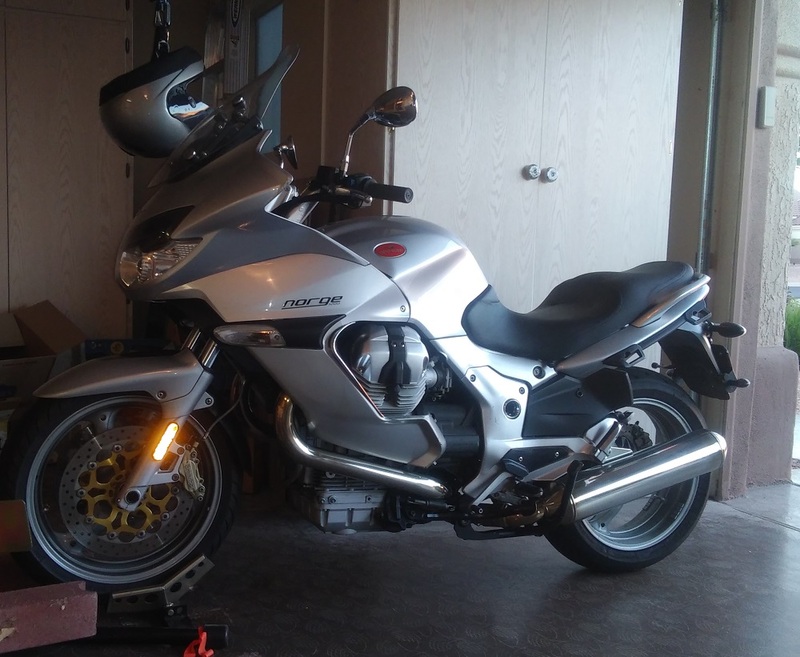 This was the way I cured my 07 Griso 2V from 2000+ idle. The stepper motor also adds a lot of air, I plugged the inlet port and it still idled too fast. So I took the throttles off and studied them for a while, I realized the LH idle stop has never been tampered with but the Bell Crank was holding the RH throttle body too far open so I took some measurements with a dial gauge. Each turn on the LH side bell crank (very fine thread) caused the RH butterfly to move 15 thou at the tip both at idle and 50% (open throttle). For open throttle I simply stuck a scrap of metal between the sacred screw and lever to give a fixed open position. I set the bike idling and wound out the Bell Crank (CCW), all of a sudden the speed dropped right off. I opened the inlet to the Stepper and the idle rose and settled at 1100. I then checked the alignment, it was within a few inches WC at idle and when blipped. I'm still running without air bleed, doesn't need it. BTW I noticed it idles a bit faster when its cold but when warmed up it comes back down. This thread is likely to become a go-to tuning reference for 2-Valve Big Block injected motors. I will post a "results analysis" next week after I get the bike back from the Dealer. He has been watching what is said here.. Thanks for all the good info shared. Each turn on the LH side bell crank (very fine thread) caused the RH butterfly to move 15 thou at the tip both at idle and 50% throttle. The only time I got an occasional high idle on my 1100 Griso was when I balanced the throttle bodies and forget to shut both bleed screws. What happened was the r/h throttle body was over compensating for the l/h bleed screw being open to achieve a balance. When I figured it out and shut both bleed screws and re-balanced at 3000rpm, then opened one of the bleed screws for idle balance everything was fine (hope that makes sense). Just by adjusting the Bell Crank, it sort of connects the sacred screw to the RH only it's not a hard mechanical stop. I think mine had been "aligned" several times in the past and it just got too far out over correcting with the air bleed until there was just too much air in total. I must have turned it 4 or 5 turns before it came right. I have the sacred screw on LH butterfly, Bell Crank and one on each end of the rod. You're talking about the screw with the spring that you use to adjust the left/right TB balance I think. So, this is a bump so you 2-Valve 1100 & 1200 riders can see an actual fix & outcome. This is shown as an addendum (further above) to the original post. Within that resource are now included links to an on-line Owners Manual, Service Manual and Parts List for the Norge. 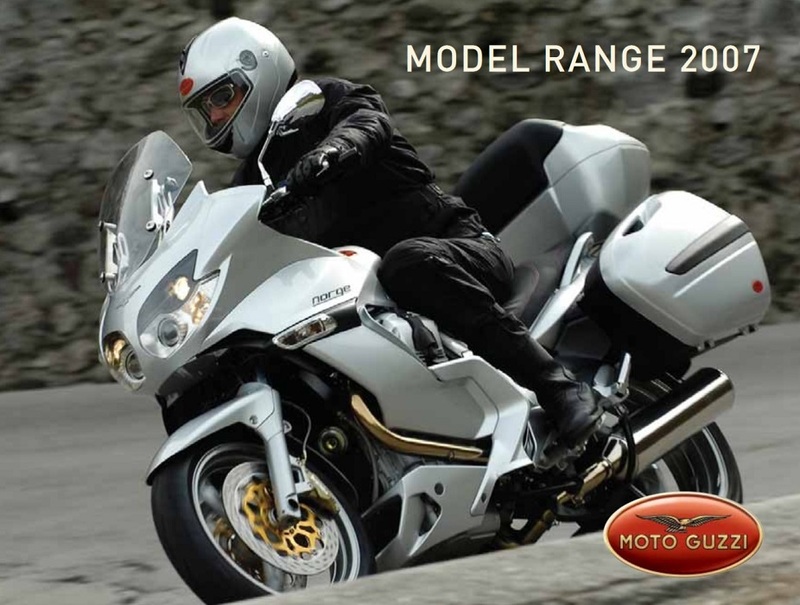 Hopefully it will help some one [or more] of you get your Guzzi put right. Thanks this Wild Guzzi Forum and especially to all those whose work, experience, and superior knowledge have unknowingly contributed to this aggregation of Moto Guzzi love and lore.